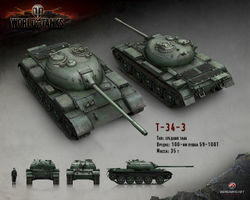 El carro medio T-34-3 iba a ser una modificación del T-34-2. El diseño se desarrolló en 1957. 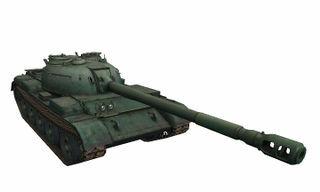 Sin embargo, la producción en masa del Type 59 comenzó en 1958, y se abandonó el proyecto del T-34-3. 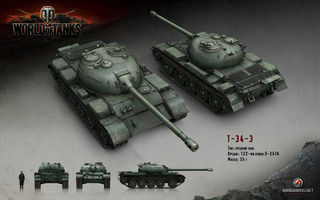 The T-34-3 plays unlike medium tanks of any other nation. 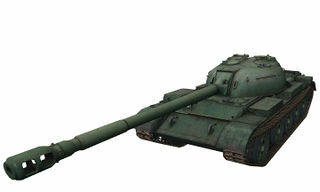 A T-44 equipped with 122mm gun comes close. The 390 average damage of 122mm is amazing for a tier 8 medium, and it's better than some heavies or tank destroyers on same tier get. 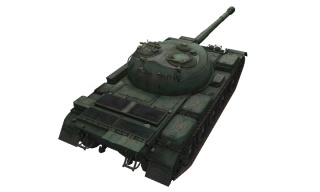 High alpha gives this tank very good damage potential. 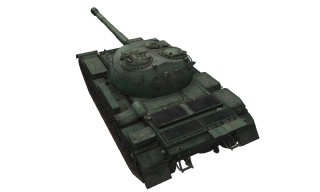 Penetration is similar than other medium tanks get and mobility allows you to flank and get to sides of heavy tanks. Unfortunately accuracy of the Chinese gun is even lower than similar Soviet guns.